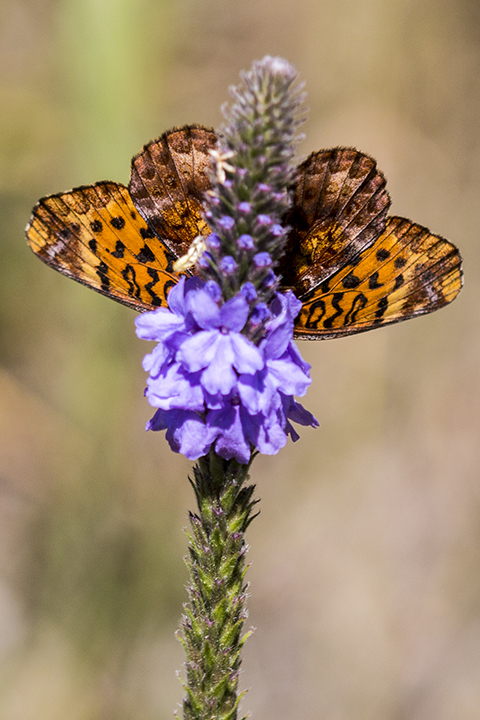 This entry was posted in Insects and tagged Boloria bellona, meadow fritillary on November 15, 2016 by John Valo. American Eastern Yellow Fly Agaric (Amanita muscaria var. guessowii) is a large, conspicuous, yellow variety of one of the most recognizable mushrooms in the world. It is widespread in North America, common in northeastern United States, and not uncommon in Minnesota. It occurs in coniferous, deciduous, or mixed woodlands, woodland edges, and among planted trees. It is found from June to November, solitary, scattered, in groups, or in fairy rings, on the ground under pine, spruce, fir, aspen, or birch trees. It is mycorrhizal, obtaining its nutrients from the rootlets of a tree while facilitating greater absorption of nutrients from the soil by the tree. Most guidebooks and authorities state that American Eastern Yellow Fly Agaric is poisonous, and it is true that about 90% of mushroom-related fatalities involve Amanitas. Fly agaric contains the hallucinogenic compounds muscimole and ibotenic acid. They may have been involved in prehistoric rituals. 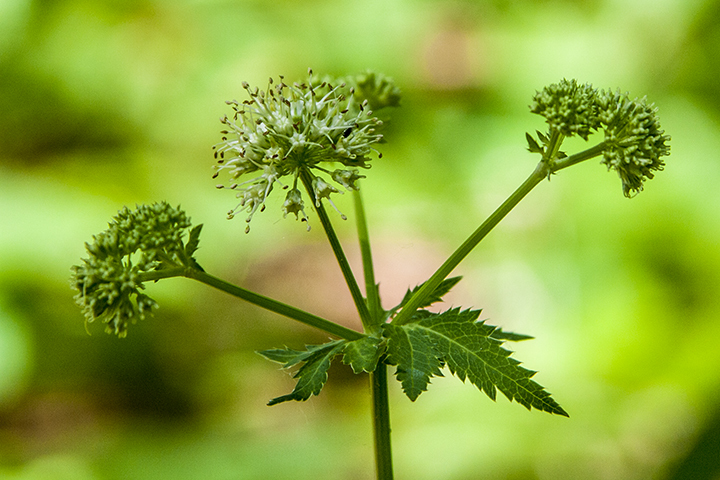 It is poisonous in large, possibly even in moderate amounts, but not normally fatal. Mushrooms in the genus Amanita are identified by pale gills usually not attached to the stem; a white spore print; a universal veil that creates a sac-like base or other distinctive feature at the base of the stem; and caps that are more or less dry. Fly Agarics (Amanita muscaria) are identified by cottony scales on the cap; a partial veil that creates a persistent ring or collar of tissue at the middle or near the top of the stalk; and one ring or two to four concentric rings of scales at the base of the stalk. 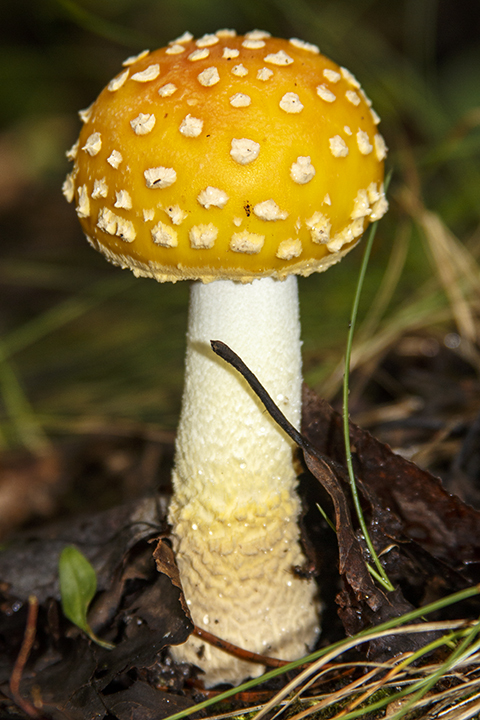 American Eastern Yellow Fly Agaric is distinguished by a bright yellow or orangish-yellow cap that is often reddish-orange or yellowish-orange in the center. This entry was posted in Fungi and tagged Amanita muscaria var. guessowii, American Eastern Yellow Fly Agaric on November 5, 2016 by John Valo. Split Gill (Schizophyllum commune) is one of the most common and widespread mushrooms on the planet. It occurs on six continents, absent only from Antarctica, where there are no trees to support it. It is also one of the best studied fungi species. The genome was sequenced in in 2010, and it is often used in the laboratory because it fruits so readily. Once thought to be a single species with worldwide distribution, Split Gill is now known to be a complex of several closely related species that cannot be reliably distinguished based on their morphology. There are more than 28,000 sexes of Schizophyllum commune. Each individual is sexually compatible with 27,997 (99.98%) of other individuals worldwide. Split Gill is found year round, scattered, in small groups, in rows, or in fused clusters, on stumps, logs, and sticks of dead hardwood, especially oak. Worldwide it is found decomposing more than 150 different species. The cap is whitish or grayish, densely hairy, and small, less than 1½″ in diameter. The “gills” appear hairy when dry, smooth and split down the middle longitudinally when moist. They close up in dry weather, protecting the spores, and open when moistened. Split Gill is considered inedible in North America and Europe due to its toughness and small size. However, it is used in the cuisines of places with dryer climates, where fleshy mushrooms are difficult to transport to market. 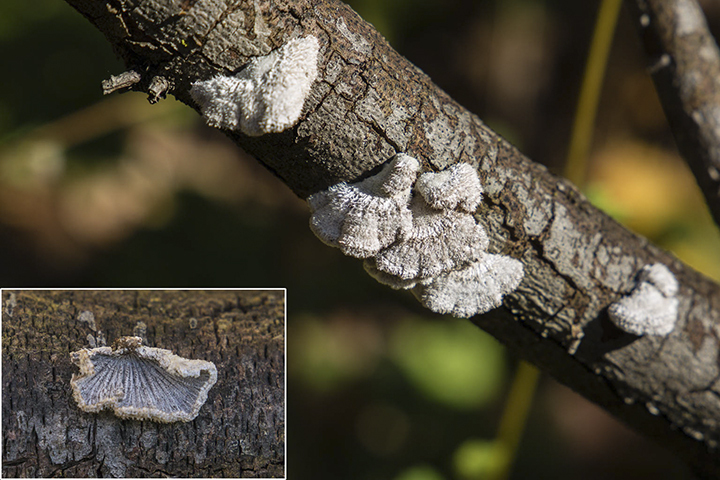 This entry was posted in Fungi and tagged Schizophyllum commune, Split Gill on November 2, 2016 by John Valo.